Our top “most wanted” lists by groups of species include those species that have been lost to science for at least a decade (and often for much longer!) and, like our top 25 “most wanted” species, may be lost for a variety of reasons. We worked with various IUCN Species Survival Commission Specialist Groups and other partners to determine these lists of flagship species. In some cases, biologists may be actively out searching—or interested in going out to search—for these species. In other cases, these species represent the kinds of compelling stories that can help raise their group’s public profile, even if nobody is out actively looking. They represent a broad geographical reach, and may present opportunities for inspiring conservation action. The Ilin Island Cloudrunner is only known from one individual purchased at a market on the Philippines’ Ilin Island. The species was “found” in the collection at the Smithsonian Museum decades after it was donated. Although surveys with local communities have not revealed knowledge of the species, there are some unverified reports from southern Mindoro. Scientists don’t know anything about the cloudrunner’s habitat or ecology, but believe that if it is still out there, it occurs in lowland forest. 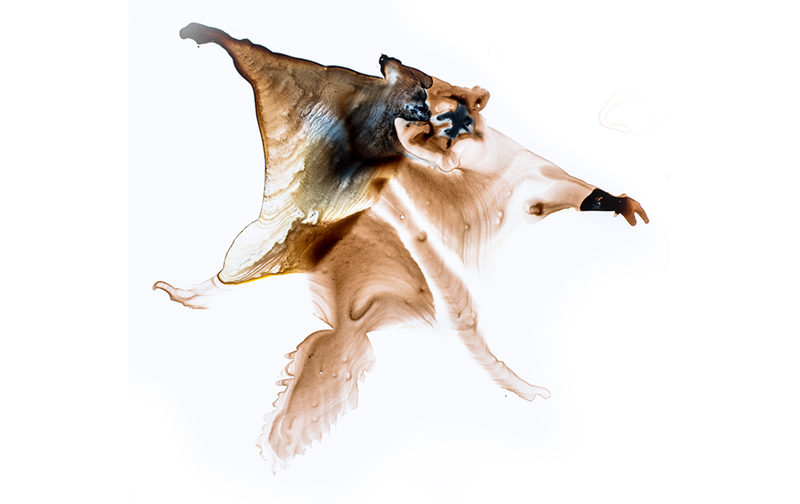 The Namdapha Flying Squirrel is only known with certainty from a single individual collected in Namdapha National Park, the largest protected area in the Eastern Himalaya biodiversity hotspot, at altitudes of between 100 and 350 meters above sea level. Although researchers have surveyed the surrounding area for the flying squirrel, there have not been any verified sightings of the species. Scientists believe the Namdapha Flying Squirrel occurs in dry deciduous montane forests along streams, and may be restricted to the area of a single valley within the Namdapha National Park. This is an arboreal species that is likely most active at dusk. The Christmas Island Shrew is Australia’s only native shrew. When people settled on Christmas Island at the end of the 19th century the species was widespread, but now may be extinct, as is the case with the Christmas Island’s Pipistrelle Bat, which was officially declared extinct in September of 2017. Past descriptions of Christmas Island mention this shrew’s short shrill squeaks, which were commonly heard throughout the island’s plateau and terrace rainforests, where it sheltered in holes in rocks and the roots of trees, and foraged for small beetles. However, by 1908 it had declined so rapidly that is was presumed extinct, having succumbed to the same disease that wiped out Christmas Island’s two endemic rat species during that decade. This disease, trypanosomisis, was introduced to the island by the invasive black rats that accompanied human settlers. Then, in 1985, two shrews were accidentally rediscovered in separate parts of forest. Intensive survey efforts since 2000 have been unable to re-rediscover it again. Extensive clearance of its rainforest habitat for mining, introduced diseases, and invasive predators all threaten any remaining individuals, whose national recovery plan expires in 2017, with renewal uncertain. Population explosions of invasive Yellow Crazy Ants and human ant-control methods mean that if this shrew has clung on so far, it is in serious need of our help to keep clinging to existence on Christmas Island. Eisentrout’s Mouse Shrew is unique to the island of Bioko, where it is known from the higher reaches of Equatorial Guinea’s tallest mountain, Pic Santa Isabel. This mysterious little insectivore inhabits montane tropical moist forests at elevations of more than 2,000 metres above sea level, but it has not been seen for nearly 50 years. Very little is known about its ecology, but the 50km2 of habitat where it was previously found is suffering degradation and encroachment from Bioko’s human populous, so it is thought to be at critical risk of extinction, if it indeed still survives. Studies of the high forested areas of Pic Santa Isabel are urgently needed to try to rediscover any remaining animals and to find out how many remain, where they are specifically located, the worst threats they face, and to explore their ecology, behaviour and way of life. The Isla Angel Mouse once existed on four islands in the Gulf of California. It was still common in the 1960s, but the introduction of invasive predators and competitors by humans caused its extinction on three of the islands and the possible extinction on the last. This mouse is thought to be descended from a colony of cactus mice, which were isolated from the American mainland during the last ice age. The mouse is thought to prefer desert scrub-land, having been found on the sandy beaches and rocky areas previously. It has never been recorded in the high mountainous terrain. Much of Angel de la Guarda has yet to be surveyed for a remnant population. If still in existence, the Isla Angel Mouse population is predicted to be extremely low and under continuing pressure from predation by the island’s abundant feral cat population. The extinction of the Estanque Island population was caused by one feral cat, so a comprehensive survey and conservation plan is desperately needed. Illustrations by Toni Llobet from: Wilson, D.E., Lacher, T.E., Jr & Mittermeier, R.A. eds. (2017). Handbook of the Mammals of the World. Vol. 7. Rodents II. Lynx Edicions, Barcelona. The Togo Mouse was discovered in 1890 in a single location. The twoindividuals collected give us the only clues we have about its natural history, as it has never been recorded since. However, it is predicted to occupy parts of Ghana, as well as Togo. It was found in rainforest habitat and the teeth and stomach contents of the two individuals indicate that the Togo Mouse’s diet includes insects. Its short tail suggests ground-living rather than a life spent up in the forest canopy. Two expeditions failed to rediscover the Togo Mouse in the 1990s. More recently, interviews with hunters in Ghana suggest local knowledge of the Togo mouse as recently as 2011, as the hunters believed that their activities had caused numbers of local small mammals to fall, including Togo Mice. Field staff in Kyabobo Range National Park, 20 kilometers west of the Togo Mouse’s discovery site, also claim to recognize the species when shown pictures, as do locals where it was discovered, calling it “Yefuli.” There is a pressing need to survey likely forest locations in both countries. Since 80 percent of West Africa’s rainforests have already been cleared or degraded for agriculture, we need to act soon if we are to have a chance at protecting any remaining Togo Mouse populations from losing the rest of their forest. The Seram Long-tailed Melomys is only known from two individuals collected when it was discovered in 1920. This rodent was found at Teloeti Bay, on the southern coast of Seram island, Indonesia. It is otherwise known as the Seram Long-tailed Mosaic-tailed Rat or the Red Tree Rat. Very little is known of its lifestyle and habitat requirements, but it was found in the lowland tropical forests of Manusela National Park and it is assumed to live up in the trees. No additional surveys for this species were attempted until early 2017, when scientists discovered that Seram locals still know of the Long-tailed Melomys. If still living, this melomys is probably most threatened by commercial logging of its lowland forest habitat and competition with invasive rodents, such as Black Rats. A more recent expedition to the island suggests that local people know of an orange-coloured small mammal, so thorough surveys may well rediscover it. 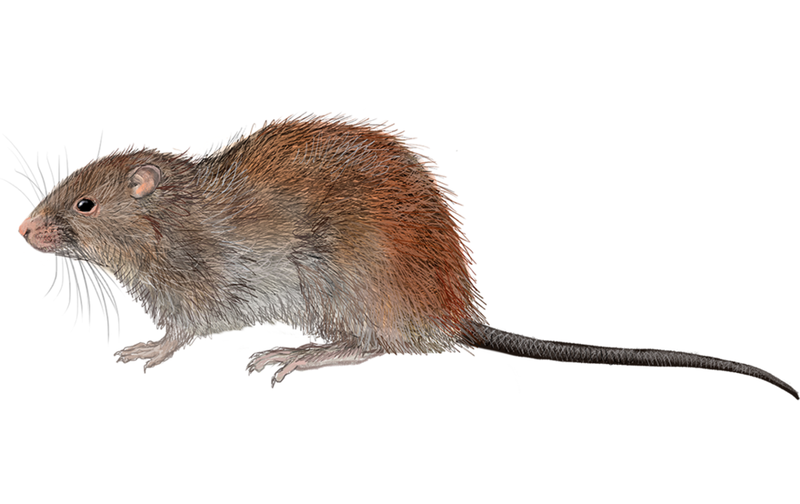 The Guadalcanal Rat is only known from three individuals that were collected between 1886 and 1888. It was encountered at Aola, Guadalcanal, in the Solomon Islands, where no local knowledge of the species remains. Since its discovery, one unconfirmed sighting in 1995 provides a single ray of hope that it may not yet be extinct. 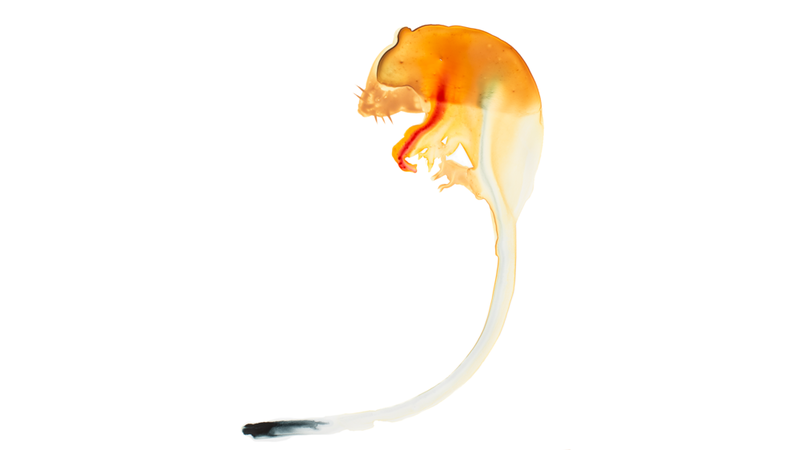 This rat is a ground-dwelling species that probably favors lowland tropical forest habitat and may live in caves. The island of Guadalcanal has never been properly surveyed for the species, so this needs to happen before habitat loss and feral cat predation eradicate this unique species forever. The Ethiopian Water Mouse, also called the Ethiopian Amphibious Rat, has only been found near the source of the Little Abbai at Gojjam, northwestern Ethiopia. The species was discovered in the 1920s and a single individual was collected. Today, this remains the only source of information we have about this intriguing rodent. This species is very well adapted for living in and around water because it has various extreme adaptations for swimming, including a large brain, swollen muzzle and extensive facial bristles; these may act as sonar to help it hunt aquatic invertebrates. It also has small, densely furred ears, a soft, dense fur coat for buoyancy, and enlarged hind feet with hairy fringes. Its feet are broad enough to be used as paddles for swift, agile swimming. This mouse was found at 2,600 metres, in an area of riverine habitat already degraded by livestock overgrazing and has now been completely destroyed. Two attempts to find this unique water mouse have failed. However, the species may not yet have sunk into oblivion. We need to determine, once and for all, whether this most extremely adapted of all African water-dwelling mice is still alive and paddling. Zuniga’s Dark Rice Rat inhabits a desert-dryland habitat known as the coastal Lomas ecosystem, where it has been found in areas of mesic vegetation along stream banks and on hilltops, where the plants retain moisture from sporadic bouts of winter fog. This Peruvian rodent is Critically Endangered, and has not been seen since the former half of the 20th century, when it was described and individuals were collected from the low-lying hills of the Lomas de Atocongo, between elevations of 600 and 800 meters. We know very little about this species as more recent efforts have failed to relocate it. However, biologists believe it is terrestrial and probably nocturnal. As it was never recorded in modified habitats or protected areas, and the coastal Lomas ecosystem in which it dwells has been almost entirely converted for human uses such as livestock grazing and mining, its population is believed to have declined by more than 80 percent in a single decade. It remains severely threatened by extensive ongoing habitat loss within its remaining restricted range – estimated to be less than 100 km2. Further field studies are desperately needed if any remaining Zuniga’s Dark Rice Rats are to be rediscovered and reclaimed from the looming void of extinction.